Place the ham on a working surface. 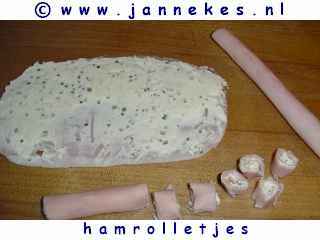 Spread herbs cheese over the slice ham and roll the slice. Cut the rolls in pieces of approximately 1.5 à 2 cm .